Home - Top Stories - Euro Crisis: Is Germany Preparing for a Greek Default? Euro Crisis: Is Germany Preparing for a Greek Default? ForexNewsNow – According to the German Newspaper Der Spiegel, German Finance Minister Wolfgang Schäuble is examining a scenario in which Greece defaults on its loan obligations and is forced to leave the euro zone and re-adopt is old currency: the drachma. This week will be especially crucial both for Greece and the euro zone in that regard. An IMF emergency meeting on Greece is set to take place on Wednesday. The troika (delegations from the IMF, ECB and EU) are expected to come back to Athens and restart their work. European finance ministers are also to meet in Poland on Thursday and Friday in order to finally conclude and move forward with the Greek bailout plan that was authorized on July 21st. Following the resignation of the European Central Bank‘s chief economist on Friday, tension is growing within the financial markets. 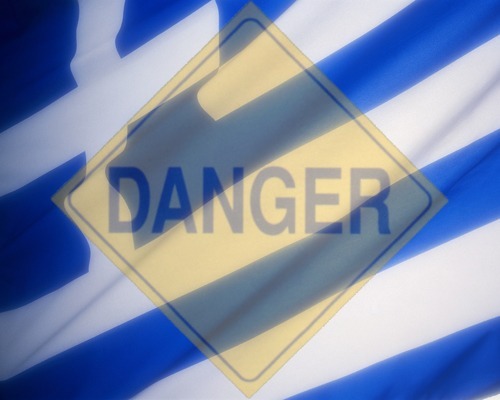 Rumors of a Greek default are gaining ground with every day that passes. According to Der Spiegel, German Finance Minister Wolfgang Schäuble has already developed two scenarios for the future of Greece. In the first case, the country’s economic is rehabilitated and it remains in the euro area. In the second one, the country leaves the euro zone and returns to its old currency, the drachma. The second scenario would be the worst scenario, by far, and would basically mean the complete bankruptcy of the country. In the case of a bankruptcy, both German and French banks would be gravely hit and these institutions could perhaps no longer afford to lend money to Italy or Spain, it if is needed. These countries would have to be helped in other ways such as credit from the European Financial Stability Facility (EFSF). Thus, the EFSF may play a central role in resolving the EU debt crisis and that is perhaps why Schäuble wants it to be implemented as soon as possible.